Nothing replaces positive word of mouth and a great ad campaign, but there are exciting (and free) ways you can connect with your customers and grow your business. In many ways, marketing works like a machine, with all of the parts, large and small, working together in unison. Advertising, Customer Service, Social Media all play a part. Do not downplay any one of them. In this post, I’ll take a look at four free ways you can connect with customers and help promote your business and events. All you need is a little time and some web savvy. Facebook is a great way to connect directly with your customers on a daily basis. As long as you do it right. It’s all about content and frequency. To do a Facebook Page right, you’ve got to update every day. Don’t have the time? Then hire someone to do it for you. Don’t have the cash to pay them? Trade them. That’s right, offer your products/services for free if they update your Facebook page throughout the week. Find someone you trust to represent your business (then make sure he/she can spell) and tell your new Facebook front-man what you’re looking to do. By the way, there is a difference between a Facebook Profile (like you and your friends have) and a Facebook Page (for a business, like a fan page). There’s also a Facebook Group, but groups are meant more for closed conversation like clubs or organizations. So you want to go with a Facebook Page. Now, the content. What do you post? Make it somewhat relevant to your industry. Facebook Fun. Want to do something exciting on your page to draw interest? Hold a giveaway. The goal is participation. Try to upload content that your customers will like (and “like”), comment on and hopefully share. You can also hold fun giveaways or contests on your page. Where do you get ideas, you ask? Look at what larger companies are doing and, well, copy them. Ikea photographed a living room set and announced that the first person to tag a piece of furniture got it. Tag the couch and it’s yours. Lamp, go ahead, tag it and it’s yours. You can do this too. On a smaller scale, unless you want to give away a living room. There are tons of ideas out there right now, happening every day. You’ve just got to keep your eyes open, then find a way to make it work for your business. More of this under “Freebies” below. Need help creating a Facebook Page for your business? Here’s a helpful step-by-step piece from eHow.com: How to Create a Facebook Page for your business. QR codes are awesome. But it’s not exactly new technology. QR codes (a type of 2D codes) have been around since the ’90s. And use of the codes is on the rise. In fact, 2D code usage quadrupled last year. The rise in smartphones is likely the cause. So use them. Find a QR-Code generator online (free) and create some content. QR Codes can be scanned by any smartphone equipped with a QR-Code reader (also free) just like the scanner at the grocery store scans the bar-code on your Cheerios. Codes can link directly to a URL (a website, landing page, Facebook page or to a video on YouTube) or Text, a message of your choice. But don’t just put a link to your website on there. The least you can do is link it to your Facebook page. Give people a reason to scan it. And make it worth it. On your website; on your Facebook Page; on your store signage; on your packaging; on your business cards; on employee shirts; in the restroom? Why not. Anywhere. Be creative. The code (which looks like a funky matrix-like image) will display right on your computer. From there, you can do one of three things: 1) save the code by right-clicking on it and selecting “save as.” 2) Adjust the image size, of the code you made. Or 3) e-mail the code to yourself and grab it from there. Oh, one more thing. Before you unleash the QR Code to the public, make sure it works. 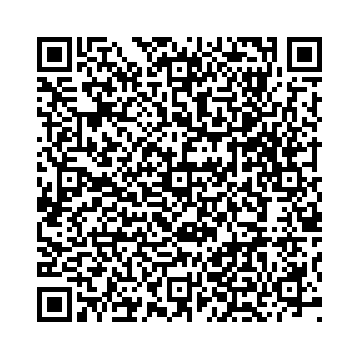 Get your smartphone (using a free QR-Code reader) and scan the code. Or find a buddy with a smartphone. To find a list of QR-Code readers, just Google it: Free QR Code Reader. Or browse through the available apps in your app store of choice. Freebies are a great way to get new customers in your door. And it is well worth the investment on your part. Offer vouchers on Facebook, maybe in a trivia contest or interactive game. Or maybe just offer them first-come, first-served, limit of the first 10 or 20. Friends will forward to other friends. You’ll create your own buzz. Maybe do this once a month, or on special occasions. Freebies are also an easy way to acquire new customers. But they’ll only be back if they’re greeted with a quality product. So make sure, whatever you do, that you do it well. If someone visits you for a freebie, if the experience is a positive one, they will be back. And they’ll pay cash for it next time. Bad experience, good luck. Not even a freebie will bring them back. The most time-consuming of the four, but a blog is a great way to share your expertise in your field. To brand yourself as an expert, in a sense. There are resources out there for Blog Etiquette about the frequency of your posts and blog content. They (the blog experts) say if you have a blog you should post once a week. I tend to agree, though a post every other week would be adequate. You would be safe with two posts a month of average length, or four shorter posts per month, once a week. You get the idea. Whatever you do, be consistent. If you post the first and third week of the month, always post on the first and third week of the month. If you are not consistent, you’ll quickly lose whatever following you have. Click the above graphics [Wordpress, Blogger and Tumbr] to visit the sites. Update: Two days after my post, I spotted the following stories, all three published on March 8, 2011. …for further reading on these topics.